There is broad consensus on the need to shift to a new paradigm of lifestyles and economic development, given the un-sustainability of current patterns. Given this, research on consumer behavior is to play a crucial role in shedding light on the motives underpinning the adoption of responsible behaviors. Stemming from a thorough discussion of existing approaches, this book argues that the perspective of analysis has to be modified. First, acknowledging that a profile of the responsible consumer does not exist since all of us can be more or less sustainable and environment-friendly: the sustainability of an individual should not be considered as given, being something dynamic that changes according to both subjective and contextual factors. Moreover, the book hypothesises that integrating dimensions and perspectives that have been so far overlooked by mainstream research will help deconstruct responsible behaviors adopting a flexible and holistic approach. Relevant policy implications are discussed, and empirical research on responsible behaviors is illustrated. 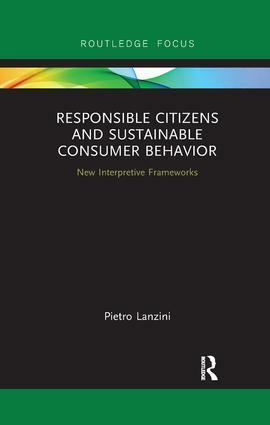 This book will be of great interest to students and scholars of consumer behavior, sustainable consumption, environmental psychology and environmental studies in general.